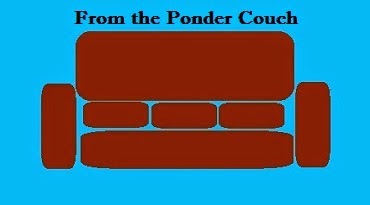 From the Ponder Couch: Made Real: Peanut Strong Bad Action Figure! In the sbemail Action Figure Strong Bad showed us the action figure he made of himself. He made it out of a peanut, 2 pipe cleaners (chenille stems, I guess they're called chenille stems now for some reason), paint/markers, and googly eyes. One thing I realized as I bought the materials is that the Brothers Chaps did not pay the best attention to the size of peanuts vs. the size of pipe cleaners/chenille stems and googly eyes. The biggest peanut I could find in the bag I bought is much smaller than the other materials than the one SB made. Are there bigger, jumbo peanuts available that would be more like the one SB used? I think SB might've used paint to make the face on his action figure. I didn't have the right colors of paint, so I used Crayola markers. So my action figure's face isn't as clear as SB's. It was hard to get the ink into all the crevices. And the colors ended up darker on the peanut than I was hoping. Even though it is not exactly the same as SB's, it is now Made Real! You can see SB's Peanut Strong Bad action figure in the sbemails 2 emails and diorama ! 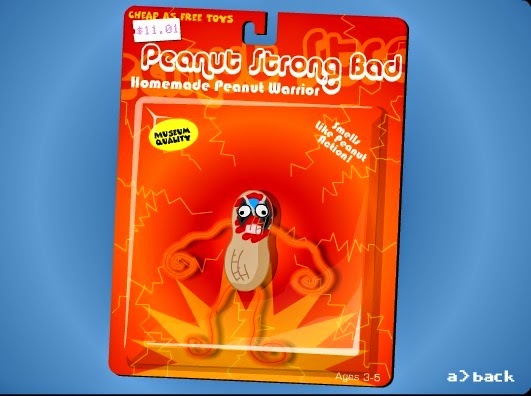 I suggest you make your own Peanut Strong Bad. Have you ever Made Real something from one of your favorite properties? If so, tell me about it or link to it in the comments!